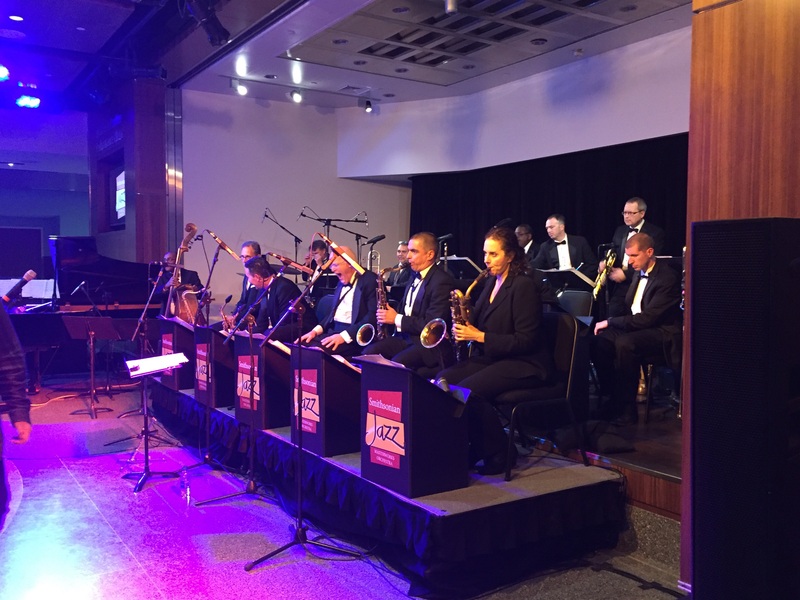 Last week Yolanda and I attended an Afro-Cuban jazz concert by the Smithsonian Jazz Masterworks Orchestra, on the advice of our buddy, Augie Cruz. Augie is a Cuban American and the idea of mixing jazz with a Latin beat was irresistible – until he forgot to buy the tickets before it was sold out! Our mutual friend, Zohar, however, was on the ball so the three of us went without him. His loss! 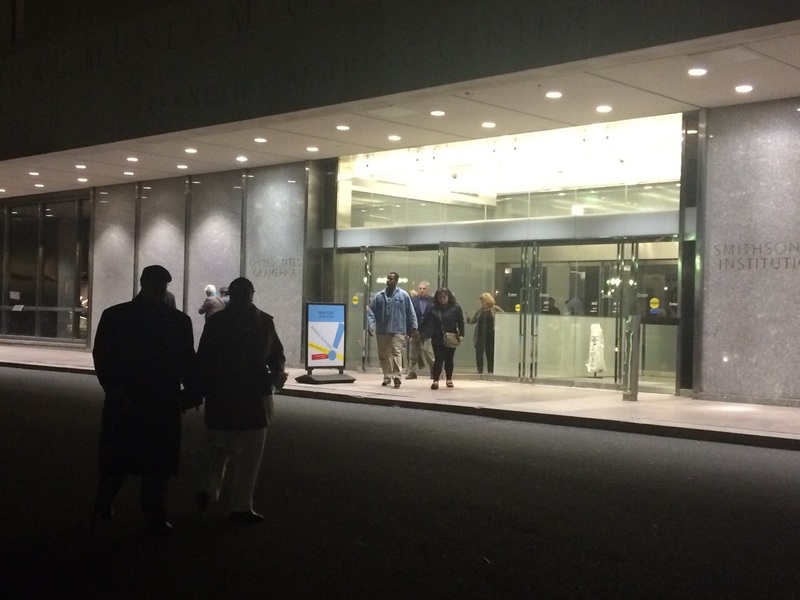 It was held at the West Wing of the National Museum of American History, recently renovated and spanky new. As we proceeded to the concert pavilion, we came across some artifacts of my youth – making it perfectly clear that we are…historic! 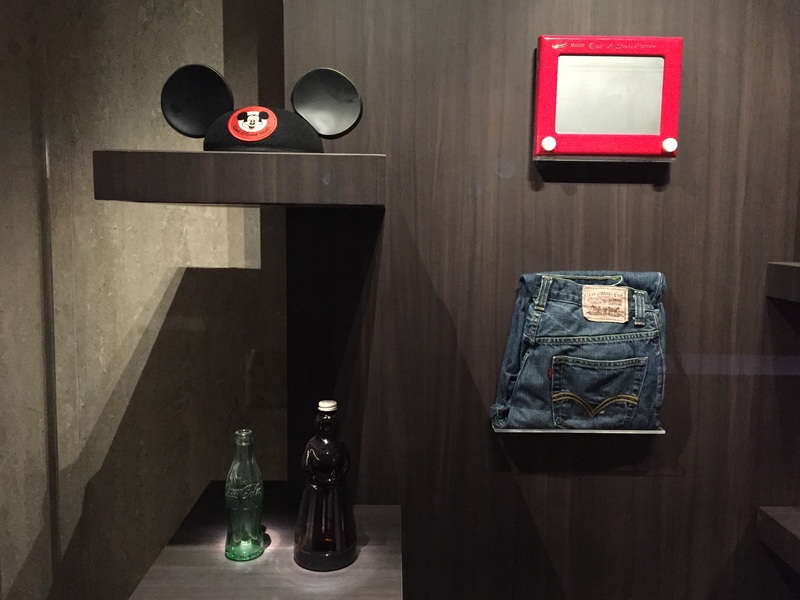 Mickey Mouse, Etch o Sketch, Levi, Coke and Mrs. Butterworth were all there – in a museum! 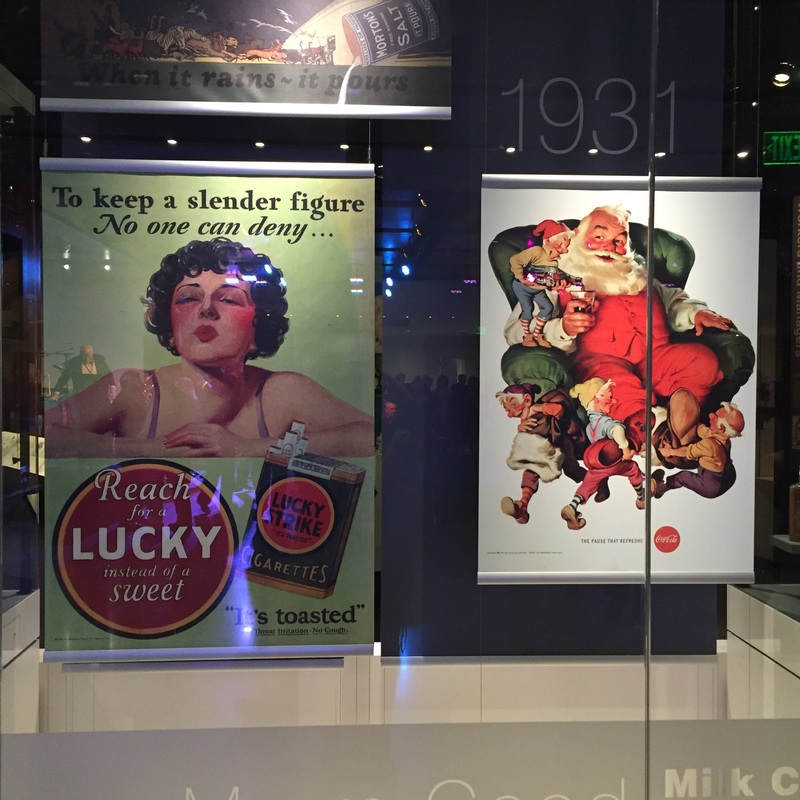 Luckily I didn’t remember that you could get thin with Lucky Strike. 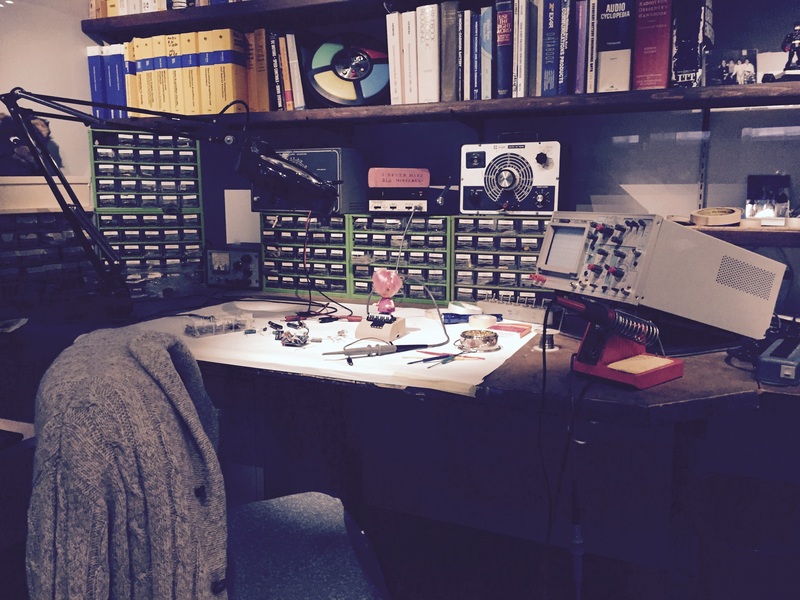 They also had a relpica of the workshop of the guy (Ralph Baer) who invented the first video game. Maybe I wish he hadn’t. Afro-Cuban jazz originated in the Ballrooms of New York in the 1940s, most notably the Palladium, on “Swing Street.” You can just imagine elegant couples dressed to the nines sipping exotic cocktails and dancing up a storm until the wee hours. Standards included Machito, played by Stan Kenton, Funky Cha-Cha by Arturo Sandoval, and Con Alma by Dizzy Gillespie. They also played a tricky arrangement of Take Five by Paul Desmond…in four. The Artistic Director, Charlie Young, played a mean solo alto and kept the group tight. On Lead Trumpet was Brian MacDonald, who played with K.C. and the Sunshine Band in the early 90s. My friend Conte Bennett, a fellow fixture of Portland jazz, asked me to look him up, so I was glad to meet him. Brian plays Lead in the Airmen of Note and other bands around town. He was playing a sweet Conn Constellation. 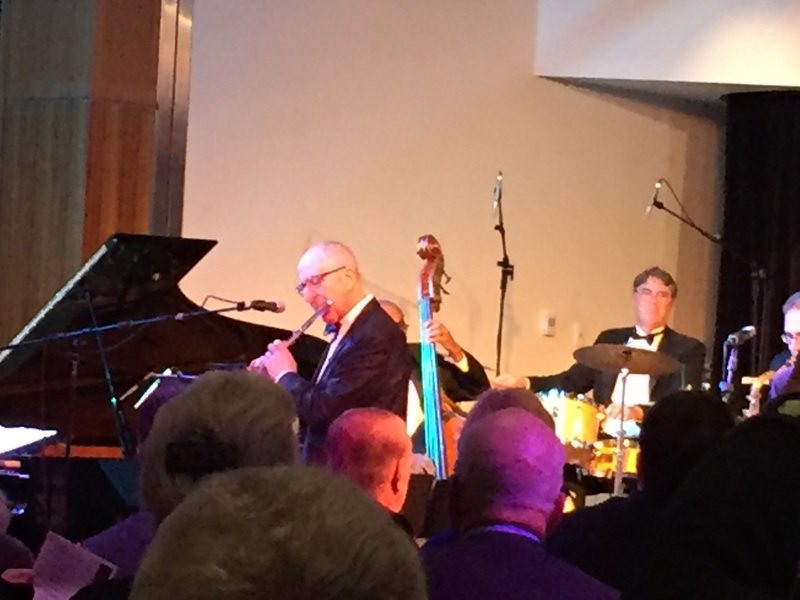 One of the highlights of the evening was when THE Secretary of the Smithsonian, David Skorton, joined the band on his flute. The guy not only runs a major institution, he also has chops! Nice guy, too. In a moment of shameless promotion, I introduced myself and I hope to have him as a future customer! 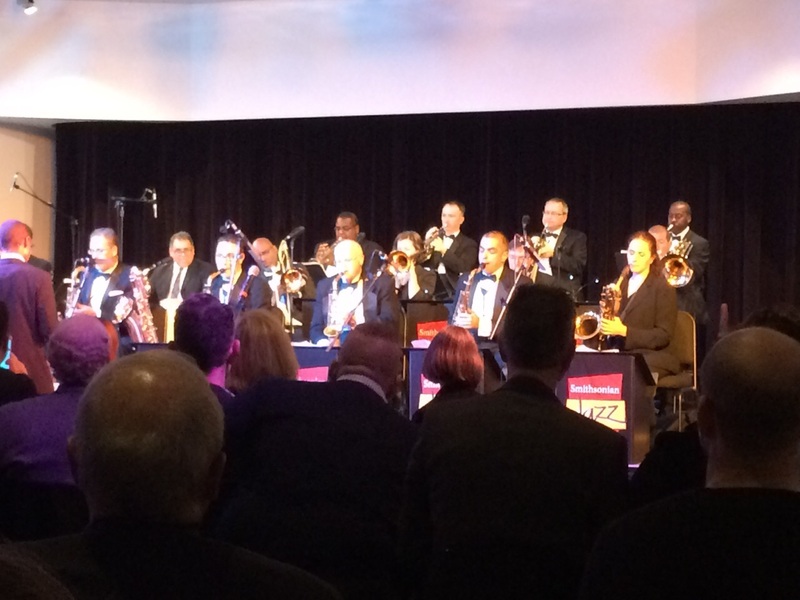 All the players were amazing soloists, including Kenny Rittenhouse, whom we last heard at the Rosslyn Jazz Festival. 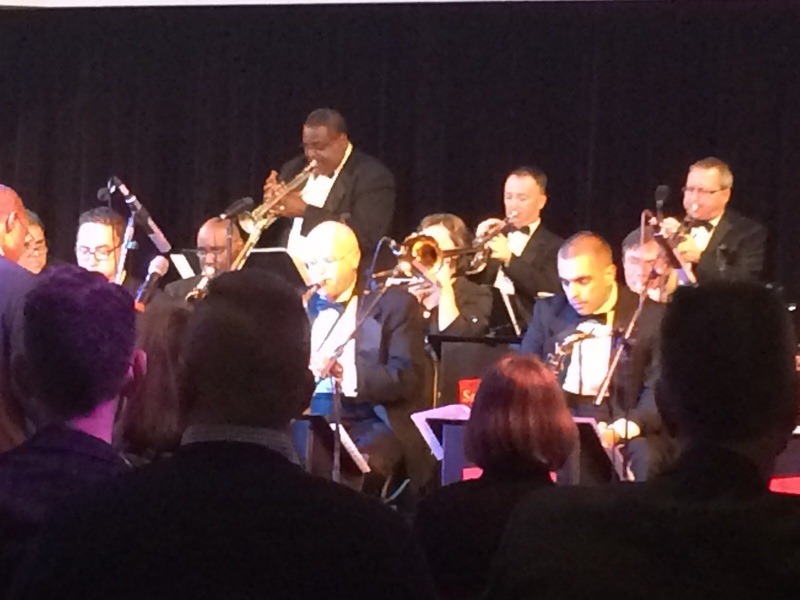 I was really impressed with the bass trombone, Ben Polk, who held the bottom and seemlessly lined up with the Barry Sax, played by Leigh Pilzer, also of the Bohemian Caverns Jazz Orchestra. We had a great evening with Zohar and bemoaned that fact that the person who brought us together wasn’t even there to enjoy it. Next time, Augie! This entry was posted in Jazz Band, Uncategorized and tagged Ben Polk, Brian MacDonald, Charlie Yound, Daivd Skorton, Kenny Rittenhouse, Leigh Pilzer, Smithsonian Jazz Masterworks Orchestra. Bookmark the permalink.